Looks like our retarded government has fucked-up another vital service. 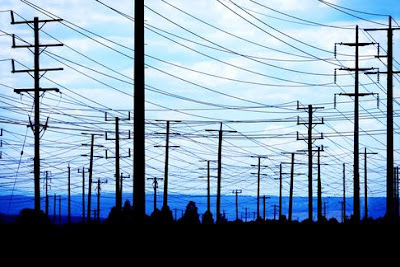 According to SMH article 'Gold-plating the power grid' by Michael West, the more the power companies spend on infrastructure the more they can charge. And this is while demand for electricity in Australia is falling. "There is a fundamental flaw in the structure of the power industry. Thanks to its regulated returns on assets, the more the power companies spend the more money comes through the door. Perversely, they have an incentive to spend big, to “gold-plate” their networks." Power industry insiders say that the gold-plating of the National Electricity Market (NEM) puts the controversial schools stimulus program in the shade. And it is not all taxpayers who get hit evenly, but pensioners in wintertime when they open that quarterly envelope to find a bill they can ill afford to pay."